Google might be speeding up Android updates with its new Android Platform Development Kit that will be available to manufacturers months earlier, but it still can't match the speed with which an XDA-Dev whiz kid ports its newest Android version to existing smartphones. Right now we have working ports of Android 4.1 Jelly Bean, taken directly from a Nexus 7 or the source code, and planted onto the most popular Android handsets, like the Galaxy S II and S III, as well as the Tegra 3-laden international HTC One X version. Of course, like with all early ports, a bunch of features are not working yet, which vary from device to device, but these hiccups usually get quickly ironed out with subsequent updates, so if you are the ROM-ing type, you can follow the developments in the dedicated thread for your device in the source link below. 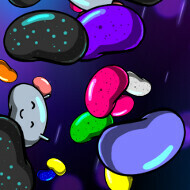 We are also embedding the existing videos of the Jelly Bean ports in action. Wow! That's quick. Why can't the OEM's hire these people for freelancer's? Serious. Rom developers are severely underrated. No matter how much praise/money they get, it's not enough. Here's what people don't seem to understand... When you have a company like Apple that manufacturers (essentially) their own products as well as develops their own software, the two are released together. Apple says "Here is iOS6, and here are the devices to use it on". Android is a totally different set up. Since Google develops (essentially) the software, when they release it they are basically saying (to the manufacturers) "Here is the latest software, build something for it." That clearly leads one to understand the delay. If you take into consideration the fact that hardware manufacturers see the software and then develop hardware around it or adapt the software to previous hardware in generally less than a year, it's not bad. I understand the argument that it's "unfortunate" how slow Android phones are updated to the latest software but if you consider this then you simply have to understand it's a very different update model than used by Apple. Each works differently, each have pros and cons. I agree with you.. And running iOS 5 on my former iPhone 3Gs is pain in the @$$ seriously.. It was laggy & stutter from time to time, iOS 4 is better for older iPhone devices like the 2G, 3G & 3GS.. I think Apple just doesn't care for it anymore, they will just say "buy a new iPhone"..
Android is worse as they already forgat about laste year devices.. with last years version of Android... yes go from bad to worse.. They didn't forget about anything!! Only you iOS f**ktwats are all uppity about whether or not the phones get the latest software. We understand that since Apple makes little to no physical apparent improvement year after year that you rely on upgraded software. Android phones on the other hand don't have that problem. I'm sorry you somehow feel that Apple's model of software updates MUST APPLY to Android. It doesn't. It shouldn't. We don't care. Why do you? Where's the Epic 4G Touch? FFFFFFFFFFF. hi im shayan of iran Does this 4.1 ROM for HTC phone port is sensation? What about the rest of devices which working with Froyo & Gingerbread? RIP!! !